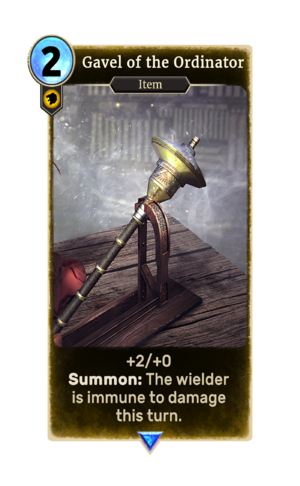 Gavel of the Ordinator is a common Willpower item card. It is part of the Houses of Morrowind expansion. Several Gavel of the Ordinator items appeared in TES III: Morrowind. This page was last modified on 24 September 2018, at 22:47.